The meeting was held March 24th at the Whetstone Public Library. Just a few membership reminders... For several people March marked your third meeting so you need to make sure you are able to pay your dues if you haven't already! Our Color Wheel Challenge had so many amazing entries! This was so much fun! Look at all these gorgeous baskets! What you need to know for April! 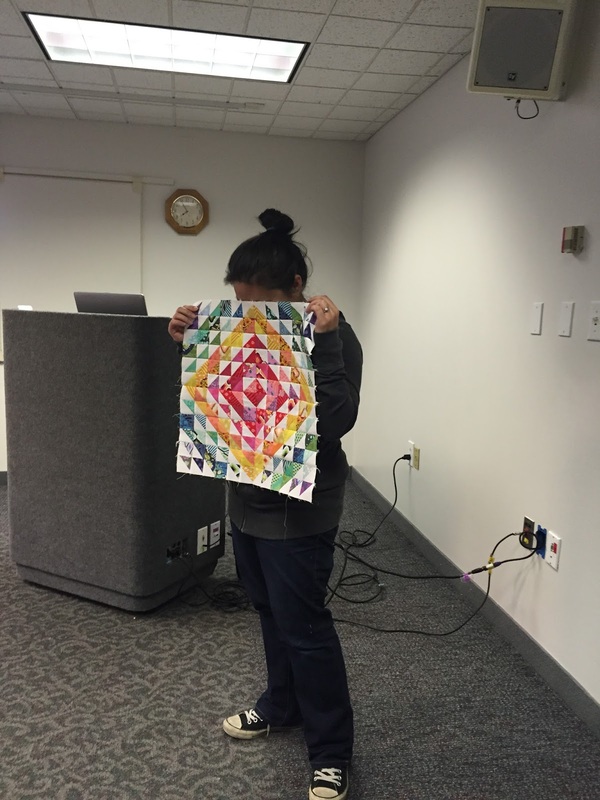 Show and Tell-- Bring your first quilt! Enjoy a few snapshots of our Show and Tell!